Cars and that too vintage ones hold a special place in each and every person’s heart. Whether it is, vintage cars of the Maharajas or cool and superfast SUVs, cars are loved in every corner of the world then how can Ahmedabad miss out on that. The Auto World: Vintage Car Museum is a glittering feather in Ahmedabad’s cap. It has been developed and proudly nurtured by Pranlal Bhogilal. Mr. Pranlal Bhogilal is a connoisseur of vintage cars in the city. He has converted his private collection of more than 100 exclusive vintage cars into a museum at Dastan Farm. The Museum houses the best in the business like Bentley, Rolls Royce, Jaguar, Maybach, Cadillacs, Austin, Chrysler, Lincoln, Fords and much more exquisite collection of beasts (cars). These cars are very well maintained and in perfectly drivable condition. If you are a car maniac you can even drive one of these beasts for a stout 500 INR for just 3.5 km ride. Too much to ask for, isn’t it? Well, foreigners are ready to pay even more and they even show keen interest to buy them but all their efforts go in vain when they see the love for these cars by Pranlal Bhogilalji. The museum showcases that time of the Automobile industry when cars were not just used for transportation but were enough to show off and gave an indication that the owner is mighty rich. These vintage cars contribute a lot to the heritage of India because many of these were taken from Indian Maharajas. 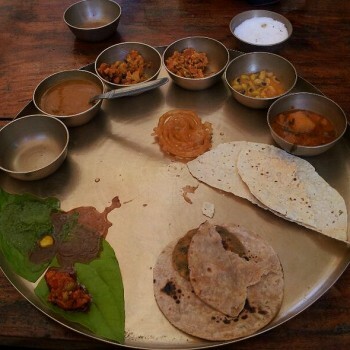 There is also a restaurant which serves authentic Gujarati thali which is to die for. Ahmedabad, this is the place to go for picnics during winters. A nice ride and a delicious meal to compliment the museum. An Amdavadi can’t ask for more.